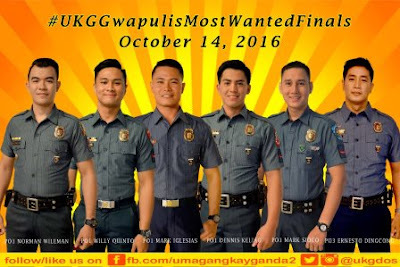 PO1 Willie Quinto is "Gwapulis 2016" Grand Winner! 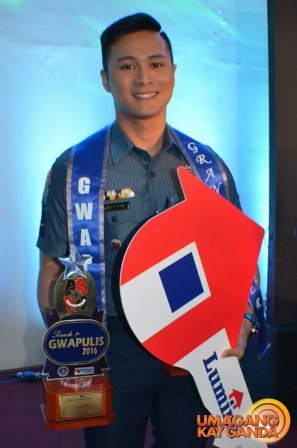 With a combination of good looks, great talent, quick wit, and a strong passion to serve, PO1 Willie Quinto of Valenzuela City was named the first grand winner of “Gwapulis 2016” in ABS-CBN’s flagship morning program “Umagang Kay Ganda” (UKG). 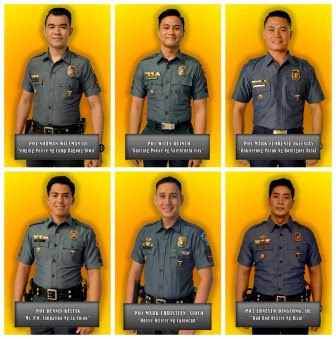 Quinto was chosen by judges former Miss Universe 4th runner-up Venus Raj, “SOCO” anchor Gus Abelgas, Philippine National Police directors Ramon Apolinario and Wilfredo Franco over five other candidates in the contest, which aimed to promote appreciation and respect for the country’s law enforcers. The young cop, a son of a vendor and tricycle driver, was presented with a key to a brand new house and lot among other prizes in a ceremony aired live from the PNP headquarters in Camp Crame, Quezon City. Other winners were PO1 Mark Christian Sioco (1st runner up) and PO1 Norman Wileman III (Best in Talent). Catch other entertaining, inspiring, and informative segments and features to start your day right on “Umagang Kay Ganda,” Mondays to Fridays, starting 5am on ABS-CBN and ABS-CBN HD SkyCable ch. 167. Catch its latest episodes on www.iwantv.com.ph or skyondemand.com.ph for SKY subscribers.